Sweet Peppers. Long Peppers and Bell Pepper Seeds. 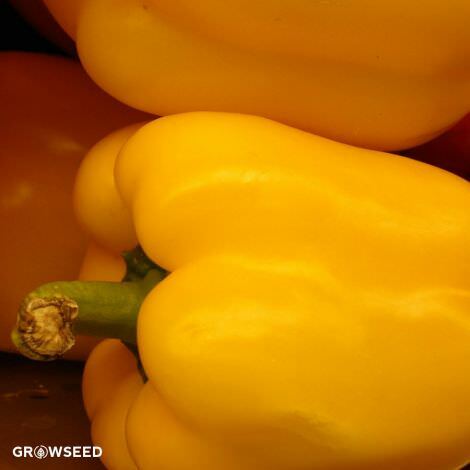 Sweet peppers are members of the nightshade family and come in all shapes and sizes. They can be long and skinny, short and fat, or even shaped like a banana or a heart. They also come in a multitude of colors, not just green and red, but also orange, yellow, brown and purple. Each color has its own particular flavor, as does each variety. 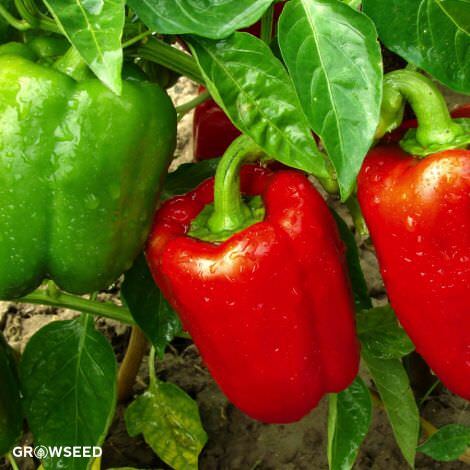 Most peppers you grow, though, will probably begin green and progress into yellow, red, or orange when fully ripe. While green peppers are ready sooner than the other colors, they’re also a bit more bitter than their riper companions. Red peppers are generally the sweetest, as they’re typically the ripest. Like tomatoes, sweet peppers are a warm-season crop. They love heat and humidity and do great in greenhouses. If you get them started early enough, they’ll also do great outside in the allotment. 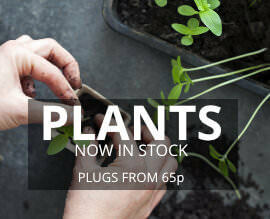 They have very few pests and are, in general, pretty easy to grow. Our favorite ways to eat sweet peppers include stuffed, roasted, sautéed, grilled and pickled. Green peppers are perfect for stuffing, and the sweetness of the red peppers make them amazing when roasted. 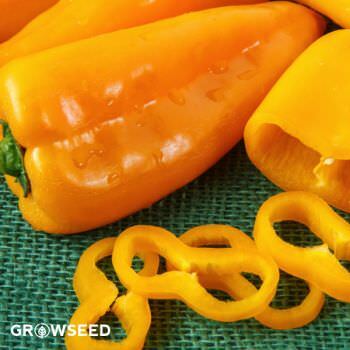 Orange and yellow peppers are great for adding color and flavor to summer salads. Cut into slivers, they also make a fantastic addition to crudité platters. Sweet peppers are best eaten fresh, but if you need to keep them for later, it’s best not to store them in the fridge. They’ll keep for a week in there, but like tomatoes, will lose flavor. If flavor is important to you, to store your peppers at room temperature and eat them within a few days of picking. You can also preserve them through canning (you’ll need a pressure canner), freezing, and drying. 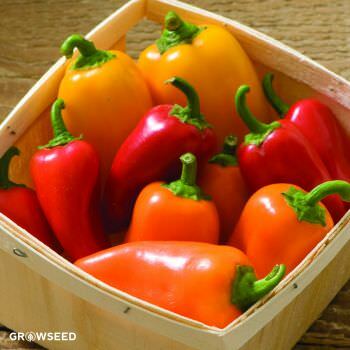 Sweet peppers are a rich source of vitamin C—the redder they are, the more vitamin C available.